Got kids who won’t sit still when you are trying to read? Here are some great ways to get your reading in without forcing children to sit on your lap who just don’t want to! Just because they won’t sit still doesn’t mean they don’t like reading. You might be saying “yeah, duh” but this was a game changer for me. Once I realized that I took a different approach to story time with boys and it made all the difference. Now my nearly 3 year old and 18 month old will sit on my lap during story time (not that they have to) and will let me finish a few books at a time. 1. Don’t make them sit still. My boys would sort of walk, hope, or bounce around the chair I sat in to read and though they were not still they were listening. I wouldn’t let them talk or yell or make a ruckus, but I would not try to make them sit at my feet or in my lap. They’d come look at the picture, smile, walk away and then come back. It was a tad frustrating to me, but it was what it was and they enjoyed it. 2. Distract them while reading. Sounds counter intuitive, but I’ve found that giving them something sensory related to do often helps them concentrate. I’ll sit my 18 month old on my lap and bounce him. If someone bounced me and I tried to concentrate on a book I’d probably throw up, but not my boys! You can give them a ball or silent toy to hold and they will fidget. Somehow this actually helps free their mind to pay attention. 3. Don’t read word for word. When my boys were little and actually made some progress in paying attention, I’d be sure not to prolong the story. 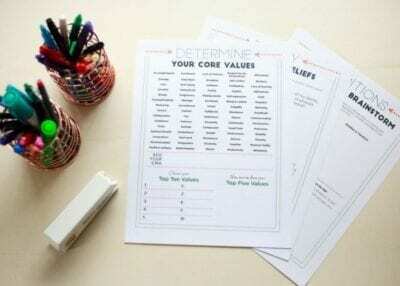 Literacy is promoted by any reading or word based activities, so summarizing a page or story is good too. Sometimes I’d read until I sensed they were about to check out, then I’d covertly skip to one of the last pages to round out the story. Can’t say they noticed, but it gave us a chance to celebrate finishing the book! 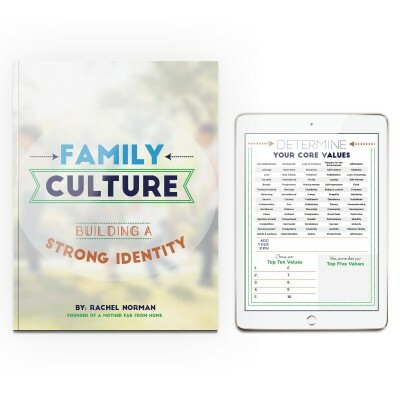 Whether they are popping around you or fidgeting on your lap, point to pages of the book and ask questions. For older children ask questions about the plot or characters to get the conversation going. If children have bought into the book or story time they’re more likely to pay attention. For smaller ones you can ask what color something is, what sound it makes or whats their favorite part of the page. For older children, the sky’s the limit. 4. Let them choose the books. I like to let my kids pick the books because there’s a lot higher chance they’ll actually let me read it if they were interested in the first place. My son will listen to long books on tractors now without much drama, but he’ll only get a few pages into his sister’s Fancy Nancy before jumping around us. Which is understandable. As you get older and begin to read chapter books regularly to children, why not rotate which child gets to pick which book? And if they truly don’t enjoy it, don’t force the issue and risk giving them a bad taste in their mouth about it all. I know certain personalities of ours (ahem, whose with me Type A moms?) tend to dislike busyness and chaos. If it’s reading time the ideal situation in our minds is everyone sitting quietly with their hands in their laps paying close attention and not uttering a word. That typically isn’t the case with small children and particularly when you have a few you’re reading to at one time. Don’t let reading time become cumbersome by becoming frustrated. The days are long but, after all, these years are so short! Ultimately, reading is an awesome awesome thing! Even if your little ones act uninterested that doesn’t mean they won’t become interested soon though if you push through. While there are definitely developmental and academic benefits to reading it’s also a great family bonding activity so don’t worry if you get off to a rocky start. Keep going and work together with your child to introduce them to the great joy of a good book. 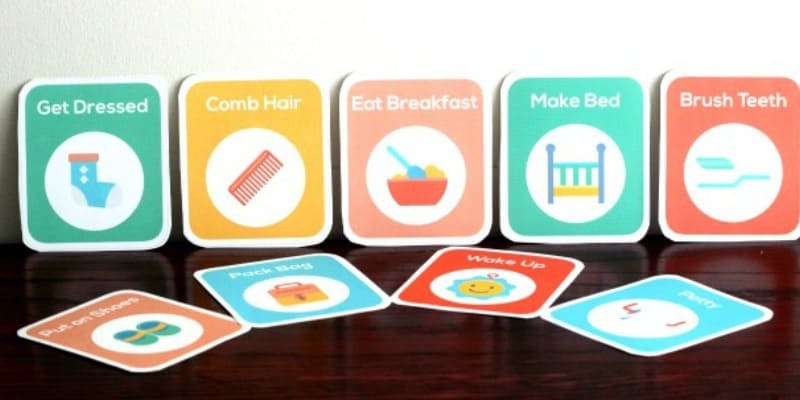 Get printable routine cards including morning, evening, and bedtime routines. Tad Hills writes Duck & Goose and Rocket books – all are a win with my daughter. There are several board books for the younger set and a few picture books too that make jumping to longer stories easier since they already know the characters. Jessie, you mean board books that are like “starter books” for longer books? I’ve found my boys go through a phase where I want to pull my hair out and scream “they’ll never learn to read!!!!#%! !” and then they calm down. Ha! I’ll look into those books because I really do love reading to them. Maybe she meant board books as in ones that are made with super thick pages that can’t rip…? Those are the only ones I can let my son hold now (15 mos)! He sometimes likes to eat them, too, but at least he can’t rip them apart. :D But I don’t know – story board books all have pictures, so maybe she meant something else? Have you heard of Indestructibles? My baby boy LOVES his…they are picture books and you can pull at, chew on, get wet and even wash! Such great advice. I love it when you offer to read a book to your kids, they say ¨no thank you´¨. Then you start reading and they can´t resist coming to listen. They get reeled in! Mine love funny voices and noises. Hahaha so funny thats so true. Mine do that sometimes as well, “No I don’t want to….” then by page 2 they are captive! Great ideas! My oldest has always loved reading (in fact right now I can hear her in her room reading to herself when she’s supposed to be sleeping!) but my 20 month old daughter isn’t so interested. She’ll pick out a book but half way through want to read something else. If I don’t stop what I’m reading and switch books, she screams and rips the book out of my hand and throws it. Discipline issues aside, any advice for this situation? I don’t want her to hate reading because i force her to finish a book but also want her to learn how to finish one story first before starting another. Kacie, mine have done this on occasion too when they had lower attention spans. I was just very firm about not throwing or ripping, and tried to keep the book out of their hands. Also, I’d look them in the eye and say “We’ll finish this, then read another…” and i’d sometimes cut that book short. If they had super short attention spans I’d sort of recap the book as I flipped pages or ask questions about the pictures instead of actually reading because I wanted to make reading a nice atmosphere, not a bad one. Letting them pick the books helps too. And honestly time helped! I think all of your advice is spot on. I just wrote a whole post about skipping pages and condensing stories, and linked to you. My blog is pretty small, so you won’t get much traffic from it, but I wanted to give credit where it’s due. 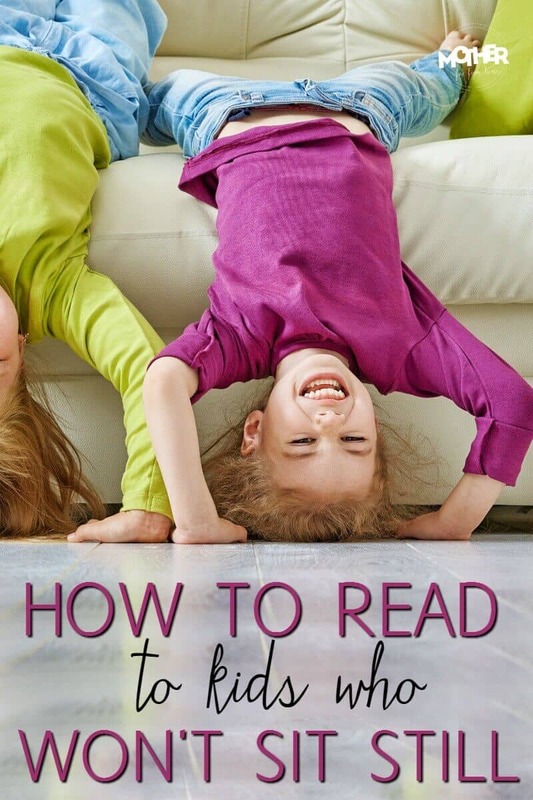 I have two Littles who are not just busy, they are noisy, as they play while I read. My 3 yr old boy HAS TO make the car sounds as he drives it around the floor, and/or the 3 and 5 yr old start hitting each other, fighting over the same toy, or the same spot on the rug to sit on. ?. Add to that, a 9 yr old with some sensory issues, and he goes crazy while he is legitimately trying to listen to the story, and starts yelling at everyone else to SHUT UP! Of course, my 12 and 18 yr olds are book worms and will curl themselves up with a novel and think they are too old to be read to…? Any suggestions for dealing with noisy kids, not JUST busy (because, of course, they are that, too)? Hmm, Melissa. I FEEL YOU. Mine aren’t quite that old, though, so I’ not quite sure what I’d say but here’s what I do. Besides get frustrated…. ;) I will tell them BEFORE I start that they can’t make any noise. If they get up that’s okay, but they need to be quiet and respect everyone else and, if they don’t, they’ll have to go to their own room and wait. Now, this works for mine because they are little, but I’m not sure at what age this would stop working… what do you do currently? My 3 year old (that loves reading) loves all books by Chris Van Dusen like “Camping Spree with Mr. Magee ” and “If I Built a House “. Also, Giraffes Can’t Dance, Pout Pout Fish, Harold and the Purple Crayon, The Big Orange Splot, I could go on and on. I also adore everything by Peter H Reynolds. I’ll put him on my author list. I absolutley love the Giraffes Can’t Dance book, I need more in that series. I love these suggestions! My challenges goes a step further, though. My kids aren’t just BUSY, they are NOISY! I don’t think they know how to play quietly. Any suggestions for getting them to BE QUIET?! lol I can hear my 5 yr old being very loud, as we speak…keeping her older sister from going to sleep. 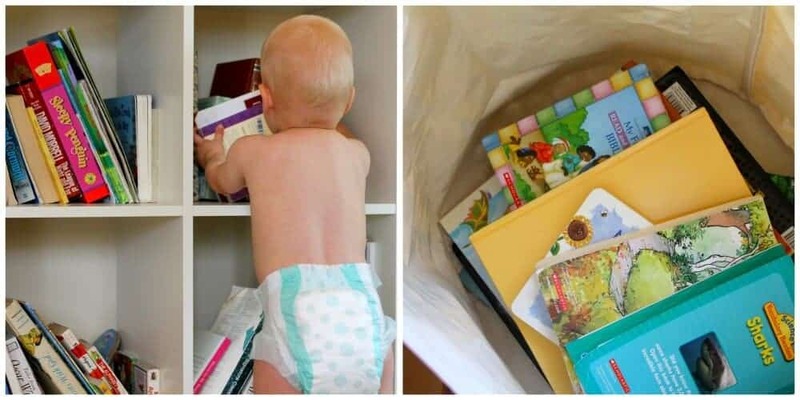 My son and daughter both went through the stage where they thought books were just another toy to be played with (from about the time they could crawl to 15-18 months). But now they both love reading time. My less – than – two year old girl still has trouble making it through her older brother’s story books, but I think she’s doing well for her age. I Want My Hat Back. By Jon Klasen is great because it has few words, but a subtler humor for my preschooler to enjoy, animals for my toddler to point out, and if you do a silly voice for each character, they both eat it up. This one is my go to book for spanning the age gap for a restless bed time. Such a simple but duh type of realization! Kids can’t sit quietly for more than a few minutes! They’re made to move, explore, play, learn, etc. If anyone has an issue with kids chewing on books, they should try quiet, cloth books. You can even make your own! Rachel, girl, this is the most dead-on assessment of reading to boys that I’ve seen yet among all the mommy bloggers, me included. I love how you have to relate to how boys learn, because that’s right where I am. My oldest is a reader maniac, while one of his twin brothers is mildly ADHD and the other is smart but goofy. Story time at night was always a struggle to accommodate each kid. It took a while to work out a system, but the key factor was always what you said: Keep reading, even if it seems they’re not paying attention, because they actually are even though it doesn’t seem possible. Somehow their brains are soaking it all up! So I’ve learned not to worry and to be flexible. I usually ask comprehension-like questions when we’re done just to make sure they were listening, and, by golly, they answer correctly. Anything you can put in the language arts part of their heads is good (math seems to come easy), so keep reading to or with them. No matter the age. I don’t know about girls, but boys are WIGGLY. It’s worth your time to keep reading to them. Plus, it builds a bond like no other. It’s a special time. Thanks again for this article. It’s timeless. Hi there, my 6yr old boy is the one who loves being read too and sits still (mostly) and my 3yr old girl loves to pick a book but hardly sits still to enjoy it. I have no choice but to let her jump around just so we can have a story but this is sooo distracting, to a point i have to cut down the story or worse no story to my boys dismay. I will try the toy in hand tomorrow. Thank you in advance. Thank you!! I just walked out of Barnes and Noble in tears because my 19mo old wouldn’t sit still during story time. I kept trying to get him to sit and in turn he threw a tantrum so we had to leave before the storyteller got to the second page. I felt like something was wrong with my son because all the other kids his age would sit still and I never had that luck with him. It’s good to hear I’m not alone. Thank you. What do you do when your 18 Month old not only doesn’t want to sit and listen to read but won’t let you have the book either? Everytime I try he just takes it out of my hands or won’t stop flipping the pages and when I say no or try to take it back he throws a big fit. Thank you for this article. In my case it was the boy who would listen to book after book from infancy and my girl who does not sit still. I will try reading to her when she is in her constant state of motion.